All Thompson homes currently listed for sale in Thompson as of 04/24/2019 are shown below. You can change the search criteria at any time by pressing the 'Change Search' button below. If you have any questions or you would like more information about any Thompson homes for sale or other Thompson real estate, please contact us and one of our knowledgeable Thompson REALTORS® would be pleased to assist you. "36-miles from Moab and 19-miles from the Moab Airport. This property does not alway show up when doing a Google or Map Quest search. Please call for correct directions. Located at the base of the Book Cliff's. This 10.99 acre property was once a boarding house. There are 20 RV hook-ups and 10-tent sites all nestled in a grove of large shade trees. The home has 10-bedrooms each with a plumbed sink, and 5-bathrooms (three inside and two outside for campers). There is a 1,500 square foot old Dance Hall / Cafe' Bar next to the home that in years past, served cold beverages and food to the locals and visitors passing by. This large building even has room for a mother-in-laws apartment. A fully fenced organic garden is located just behind the Dance Hall. Fresh fruits and vegetables are sold on site during the growing season. Take a peek back in time and visit the old Rock Shop where past visitors enjoyed purchasing souvenir rocks from the area. Enjoy sipping on your morning coffee while sitting on the double decker porch and watching the sun come up and dance with color on the Book Cliffs just outside your front door. As your day unfold, hike, bike, ATV, or 4X4 up Sego and Thompson Canyon. Explore the old ghost town, visit the Indian Writings, and keep an eye out for unexpected Arches along the cliff walls. 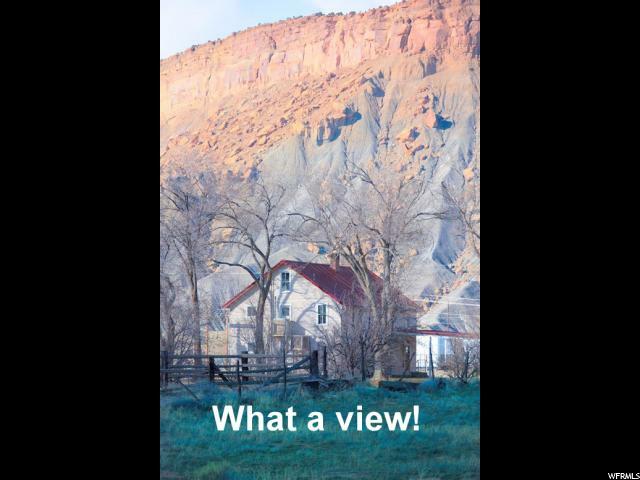 This property has room for all your family and friend and would make a great gathering place for family reunion, wedding, or just and escape from the Moab traffic. 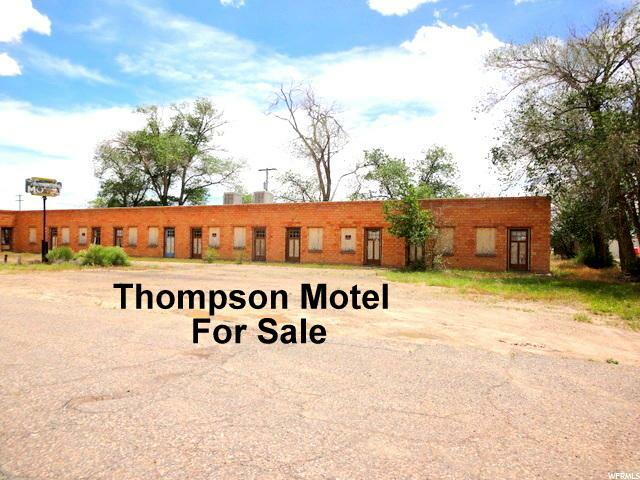 The seller will entertain owner financing with a large down payment, The owner works in Moab, and has friends staying on the property doing day to day business. Please do not disturb the caretakers with unexpected visits. A 24-hr. notice is required for all showing. " "Summer Special! We dropped the price. 35-miles North of Moab, just off of I-70. This address doesn't always come up correctly when searching on Google or Map Quest, please call agent for correct directions. The main living area of this property needs a lot of TLC. This property hasn't been lived in over 20-years. It has 10 additional bedrooms, each has their own bathroom and outside entrances. Recently the 10-bedrooms have been used as storage units and also need TLC. The outside brick is imported from Italy giving this an old fashion charm feel to the building. There are two septic tanks and a stand up basement where all the utilities are located. Parts of the roof have been replaced, and the property has been recently surveyed. This would be a great place to store all your adventure toys for you and your friends. Located 18 miles from the Moab Airport and at the base of the Book Cliff's. Sego and Thompson Canyon are just a few miles up the road. Hike, bike, ATV, 4X4, enjoy the Indian Writing, discover the old ghost town or an Arch here and there as you explore the area from your front door. "